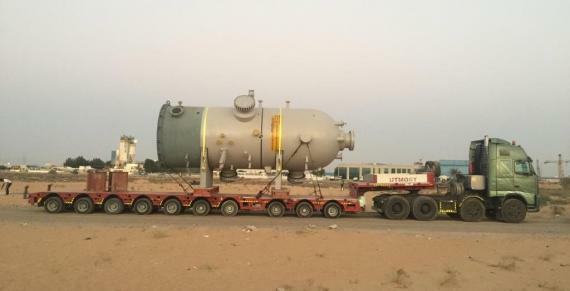 Masstrans Freight are members in the UAE are they are delighted to share the below photos of a recently completed project cargo movement from Hamriyah Free Zone in Sharjah. The cargo (a TEG contactor) consisted of 3 ODC packages plus accessories totalling 1033ft. 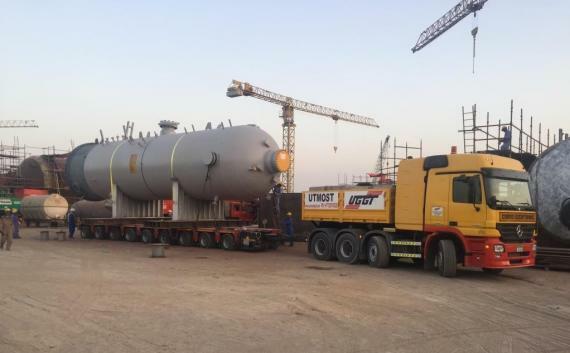 Masstrans scope of work included collection from the factory on FOT basis, cargo measurement surveys, route survey, Free Zone permissions, road permissions, transportation and the positioning of the ODC packages on stools alongside the vessel at Hamriyah Port. 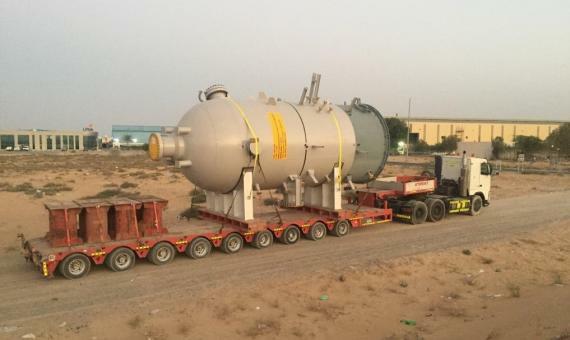 Masstrans successfully delivered their expert services to the satisfaction of their client.